Ahead of the festive season, the Bombay High court has issued pointed directives for efficient implementation of the Noise Pollution (Regulation and Control) Rules 2000, and guidelines issued by the Supreme Court in this regard. While delivering its judgment on PILs filed for inviting attention of the court to noise pollution during festival celebrations, the HC bench headed by Justice A.S. Oka also admonished the authorities for lack non-adherence to the rules and ineffective implementation. The court called for prompt and time-bound implementation of the directives and it was obligatory on the authorities to ensure compliance. “Thus, we hold that all places of worship of all religions shall scrupulously follow the provisions of the noise pollution rules and no such place of worship is entitled to use loudspeakers or public address systems without obtaining permission under Sub¬Rule (1) of Rule 5. Needless to add that in case of a place of worship is in a silence zone, the law laid down by this court which is applicable to silence zones shall squarely apply to such places,” the judgment stated. It was held that any breach of the norms shall amount to infringement of Art. 21 of the Constitution and they do not afford any right under article 25 and 19(1). 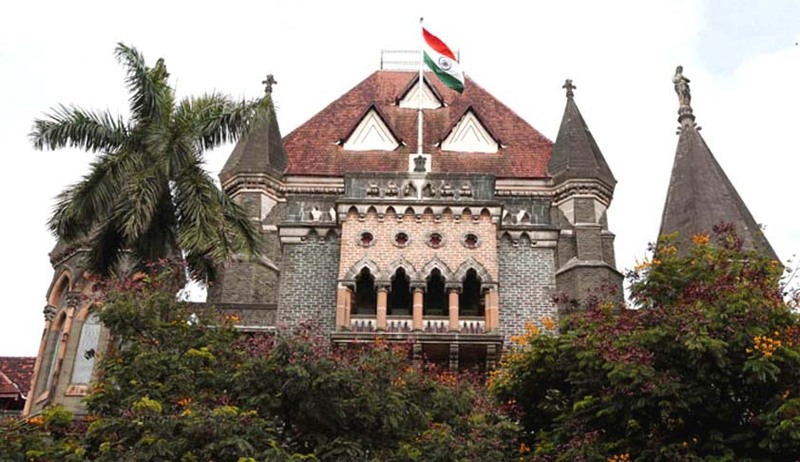 The court held that loudspeakers shall not be used without a written permission of the authorities even if it is required under provisions of law such as Maharashtra Police Act, 1951, or the rules framed there under. The court clarified that even after grant of written permission, the person holding the permission is bound to maintain the noise level as prescribed by the rules. It was further reinstated that notwithstanding permit, any public address systems or sound amplifiers shall not be used between 10 pm and 6 am. The exceptions, in case of a cultural event, can be provided between 10 pm and 12 pm, but for a maximum of 15 days It was held that the power of fixing the period cannot be delegated and neither can be different for different districts and, hence, to that extent, the notification dated 31st July 2013, was held illegal. The judgment also pointed out that the extension of time granted on the occasions of Shiv Jayanti, Eid¬-e-¬Milad, Ambedkar Jayanti, 1st May, Navrati Utsav (Ashtami and Navami), Diwali (one day Laxmi Poojan), Christmas and 31st December, in addition to four days of Ganpati festival, to use loudspeakers will not apply to silence zones. The noise level at the boundary of a public place must be maintained as defined under the Act. It was further held that in case of private sound system being use on a private premise, the noise level cannot be more than 5 dB(A) above the prescribed noise standard specified for the area, as provided in the Schedule. The court also pointed out that there is complete prohibition on use of horns in silence zone and during night time (from 10 pm to 6 am) in the residential areas, as per notification dated 31st July, 2013, issued by the Environment Department in respect of horns, should be complied with. The court observed that there is a complete prohibition on use of sound-emitting construction equipment in silence zone or during the night time in residential zones and directed the State Government to issue directions to all Planning authorities to cause compliance in this respect. The court issued specific directives with respect to noise control in silence zones (area within the distance of 100 meters around hospitals, educational institutions and courts). It was clarified that there is a complete ban on using any sound amplifiers or holding performance or blasting crackers in the said area. However, even in closed places along the said area due permissions have to acquired in advanced before using any public address system. It was stated that non¬-compliance or contravention attracts imprisonment for a term, which might extend to five years, and fine, which might extend to one lakh, and the authorities are also empowered to prohibit the use. The court spelt out that criminal law will be set in motion by taking recourse to clause (b) of Section 19 of the Environment Protection Act. If breach is of a very serious nature, the authority shall bring to notice of the district collector or the regional officers of the Maharashtra Pollution Control Board who have been authorised by the Central Government under clause (a) of Section 19 of the Environment Protection Act. A complaint mechanism should be brought in place to hear complaints regarding noise pollution and the authorities under the Act are obliged to entertain the complaints and take prompt action, with action taken report displayed on the website of Collector/Municipal Corporation. Tollfree numbers and facility to contact though WhatsApp, email or SMS should be provided. Awareness must be created regarding its existence. Also, names and contact information of all authorities concerned should be notified and given wide publicity via media and circulars. While issuing licence, the appropriate police officer shall be deputed to the site concerned with a necessary machine/equipment to test whether noise level exceeds the ambient noise standards. The police are directed to take prompt action on oral complaints and without revealing the complainant take prompt action. The municipal corporation is empowered to refuse to grant licence if there were earlier violations by the applicant. Whenever a complaint is received by the authority as regards violation of the Noise Pollution Rules, the same shall be forwarded to the Commissioner and/or the Superintendent of Police to enable the said authority to take action under Section 38 of the Maharashtra Police Act. Meetings should be conducted prior to major festivals and appraise the organising groups about the statutory provisions and regulations. The State Government shall issue a direction to the authorities under the Noise Pollution Rules that they shall take all possible steps to ensure due compliance. The court also issued directives on noise emanating from vehicular movement and directed the state to undertake measures for abating the noise authorities and while planning development activity such as preparation of development plan shall take into consideration all aspects of noise pollution as a parameter of quality of life to avoid noise menace. The court also directed the state government to undertake exercise of noise mapping in all major cities in the State as availability of data obtained by noise mapping within 2 months of the issue of order. The court also issued a salutary direction is issued to have public awareness campaign in anticipation of festivals and events inviting attention to the members of the public to the Noise Pollution Rules and also the adverse effects of noise pollution on health and wellbeing.